The Ord River cuts through interesting desert geology. 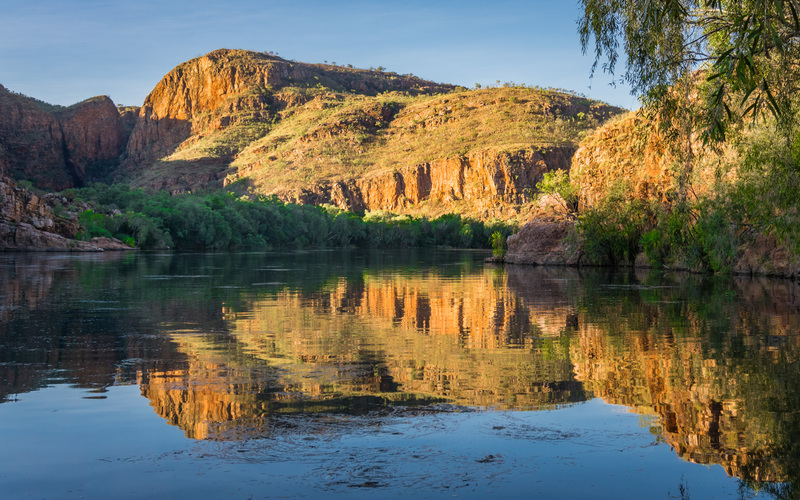 In this location the river has been tamed by the dam at Kununurra which allows for safe river travel. The views and colours, particularly towards sunset are beautiful. If you have or can hire a boat then access would be under your control and you can explore and shoot wherever and when ever you want. I was on a tour which was excellent. The boat set out from the downstream side of Lake Argile dam wall and cruised down to the second dam at Kununurra. Kununurra can be accessed by road or air.